A signal failure is causing long delays on the rail network. The signal failure is in Lewes, and as a result all lines to and from Eastbourne are currently blocked. 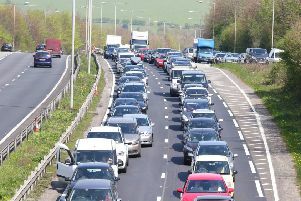 It is also having a knock-on effect across the county, with trains from Hastings to Brighton being badly affected. This comes before a crucial football game at The Amex stadium in Falmer which kicks off at 5.30pm today, and is expected to draw big crowds. If Brighton and Hove Albion FC win their match against Bristol City, they will win the Championship. Train tickets are being accepted on Brighton and Hove buses between Brighton and Eastbourne. Southern staff are on their way to the signal to investigate the fault. Lines have now reopened and delays are expected until 5pm.